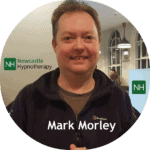 Mark is the director of Newcastle Hypnotherapy, a Clinical Hypnotherapist and a Master Practitioner of Neuro-Linguistic Programming. Training with NLP North East and Transform NLP, Mark obtained his qualifications and previously spent many years learning Self-Hypnosis and NLP for himself. Mark’s Experience & Personal Achievements. Mark has always been very passionate about personal development, nutrition and health. Mark started to learn self-hypnosis and neuro-linguistic programming in his teens as a way to overcome issues such as anxiety, stress, poor self-confidence and a stammer. Mark overcame these issues and at the age of 18 started his first business as a mobile disc jockey. 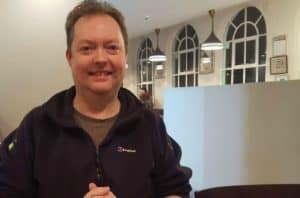 The techniques he learnt helped to improve his self-confidence issues and helped him to work as a multiple mobile disco operator for many North East Hotels and even to enjoy public speaking and training others in various roles. Mark now enjoys speaking at regular health events such as The Mind, Body, Spirit Fair at The Vault each month. Topics include Hypnotherapy, Self-Hypnosis, Neuro-Linguistic Programming, Emotional Freedom Technique, and more. You can also find Mark speaking at the regular Wednesday Workshop in Newcastle teaching Self-Hypnosis and NLP skills to others. 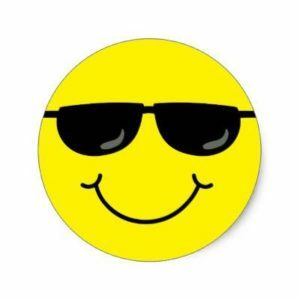 Mark loves successfully helping people who have issues with stress, anxiety, self-confidence and pain using Clinical Hypnotherapy, NLP and other modern techniques. He also works in many other areas. To chat with Mark about your issues call 07568 455 809 or Contact Us for a call back. Tou can also learn about the regualr events and workshops by joining the newsletter lower down the page. 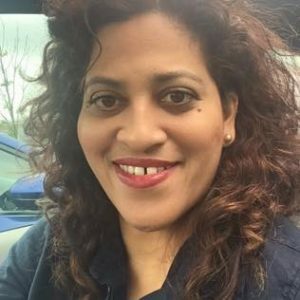 Yvette is a passionate Occupational Therapist, a Practitioner of Neuro-Linguistic Programming and is also skilled in many other areas including family and child work. She has many years of experience within the NHS and also enjoys specialist work in many other areas, helping people with anxiety and stress problems. We work across the North East of England, Newcastle upon Tyne & Northumberland for face to face appointments & workshops. We also work online & by phone across the UK when needed. 31 Station Road, Wallsend, Newcastle upon Tyne, NE28 6SZ. 28 Astley Road, Seaton Delaval, Whitley Bay, Newcastle upon Tyne. NE25 0DG. 1 Vulcan Place, Bedlington, Northumberland, NE22 5DN. 27 Greystoke Place, Cramlington, Northumberland, NE23 6NL. White Feather House, 46 Charlotte Street, South Shields, NE33 1PX. To book your appointment for hypnotherapy or NLP for these locations please call 07568 455 809. Newcastle Hypnotherapy Events, Workshops & Training. The Wednesday Workshop is a regular event to share useful skills such as Self-Hypnosis, Hypnosis, Neuro-linguistic programming – NLP, Emotional Freedom Technique Tapping – EFT, Meditation, Mindfulness and more. The aim is to share skills to improve happiness and good mental health while also making friends and having fun. Newcastle Hypnotherapy also runs longer training and development events for deeper learning and advanced skills. For more information about these events and workshops join our newsletter below. Your privacy is safe and you can unsubscribe from the newsletter at any time. Simply call on 07568 455 809 or contact us. Yes. We offer this consultation by phone, in person or video chat to assess the issue & see what will help you. Click here to arrange your free consultation. What do you charge for appointments? Most appointments are charged at £79 for a 1 to 1.5-hour session. Certain appointments may be less or more depending on the individual circumstances and always advised in advance of making your appointment. Most appointments take about an hour to an hour and a half although may vary depending on your circumstances. How many appointments will be needed? We can advise of an estimate in advance. Some issues can be resolved in one or two sessions and others can take three or four sessions. Call us on 07568 455 809 to arrange your free 15-minute consultation.